The seven-volume Yasuda violin and cello duo series includes well-crafted, carefully edited arrangements for all levels of players, from the novice to the advanced. Students and professionals alike will now be able to locate high-quality duo arrangements of familiar pieces from the string repertoire that are enjoyable to play! 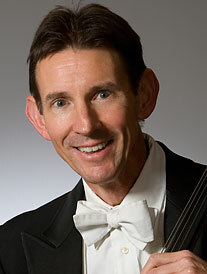 Christopher Rex, Principal Cellist with the Atlanta Symphony Orchestra since 1979, received his conservatory training at the Curtis Institute of Music (Orlando Cole) and the Julliard School (Leonard Rose). He has taught at several colleges and universities including Gettysburg College, the New School of Music in Philadelphia, Georgia State University and is currently the Cello Chair of the McDuffie Center for Strings at Mercer University in Macon, Georgia. Mr. Rex performs regularly at the Highlands Chamber Music Festival in North Carolina and has been the Principal Cellist of the orchestras at the Colorado Music Festival in Boulder and the Grand Tetons Music Festival in Wyoming.